Having a storage unit is useful for storing a wide variety of different things. Need to store a lot of lumber between building projects? A storage unit is the perfect solution. However, if you plan on keeping your lumber in self-storage, you need to make sure you’re storing it properly. 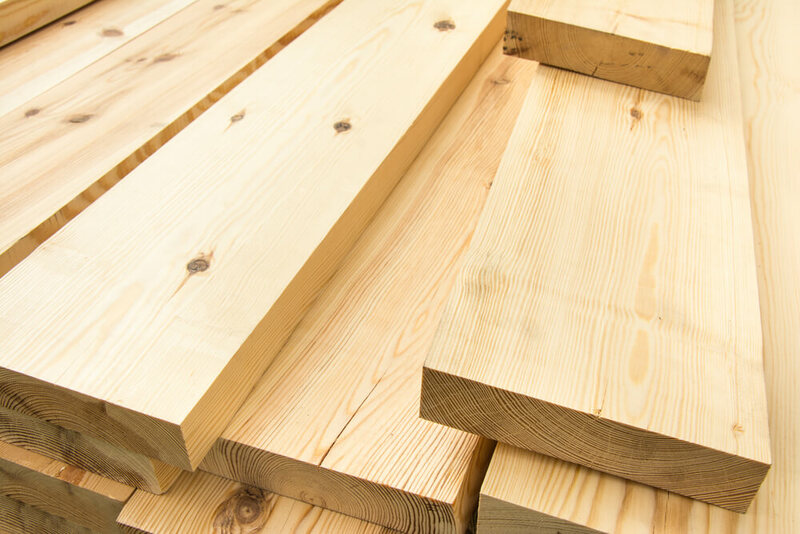 Today in the Affordable Family Storage blog, we’ll give you some advice on storing your lumber. If you’re storing lumber in a storage unit for a long period of time, you want it to be as dry as possible. If you’re storing wood that’s holding moisture, you risk the lumber getting ruined. Make sure that your lumber is dry before putting it away. The best way to save space when storing lumber is to store it vertically. If you plan on storing it this way, you need to take some precautions. If the wood isn’t completely dry, the moisture can ruin all of the lumber. Also, you want to make sure you can support the lumber at both the top and the bottom. Without proper support, the lumber might bow under the weight. Make sure you’re not stacking too much lumber. You need to give it some room to breathe, otherwise you risk bowing and bending. Don’t store your lumber on the floor either. In the rare case that water gets into your storage space, you would be opening it up to the possibility of water damage. We recommend putting a lumber rack in your storage unit. This will be the safest, most space-saving way to store your lumber. Also, if the wood isn’t dry, you should store it horizontally until it is. Your lumber needs to be stored in a cool, dry place, especially if you plan on storing it for a longer period of time. We highly recommend renting a climate-controlled storage unit. This will ensure your lumber isn’t exposed to the elements such as high heat, extreme cold, or significant humidity. If you’re looking for a place to store your lumber or any of your other belongings, choose Affordable Family Storage. We’re sure to have a storage unit that’s perfect for you. We have both regular and climate-controlled storage units. We also have them in a variety of sizes. Not sure what size storage unit you need? Just use our storage calculator to find out! For any other questions or to speak with a member of our staff, contact Affordable Family Storage today.